ARCHOS FAQ - [50 Diamond] How do I switch the 4G connection from one SIM to the other? Since the last update 20150420.124756, you can choose which slot handles the 4G/LTE network. We remind you that the Archos 50 Diamond does not handle the 4G network on both slots simultaneously. And that you need to have a 4G/LTE subscription to use this network. To manage the SIM cards, go to Settings > Dual SIM settings. 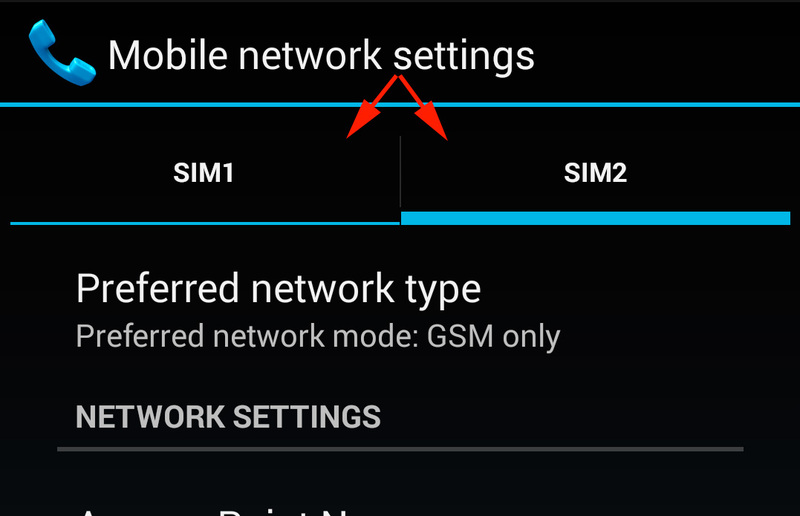 In Default SIM settings, select Mobile Data, then select the SIM card which you want to use the 4G/LTE network. You have to also modify the network type of your SIM card. Go to Settings > Mobile Data and select the tab of the desired SIM card. Select Preferred network type and select GSM/WCDMA/LTE if you want your SIM card to manage the 4G network and the incoming/outgoing calls. If you select LTE only, you will not receive phone calls. When you set one SIM card to connect to the 4G network, the second SIM card connects automatically to the 2G network. To change the SIM card that manages the 4G network, follow the above procedure.